What do a carpenter, barber and painter require to complete a task? Whether to create a master piece or stand the test of time – the tools, equipment or instruments used to create a master piece are vital to completing the task. The world of science is no different, without the right tools, equipment or instruments and training to use them correctly, it is impossible to generate accurate results. The highest utilised instrument in a molecular laboratory is the micropipette (commonly known as the humble pipette); it performs the most important function in life science research – accurate handling of liquids. While it is the most used instrument and most important instrument to accuracy manage liquid handling, it is also an instrument that is easily mis-used. Where accuracy and precision are of greatest importance in a molecular laboratory, a large gap in technical expertise is observed in many laboratories. Eppendorf in collaboration with inqaba biotec™ sought to enlighten scientists on the impact of poor pipetting skills on research and experimental results. 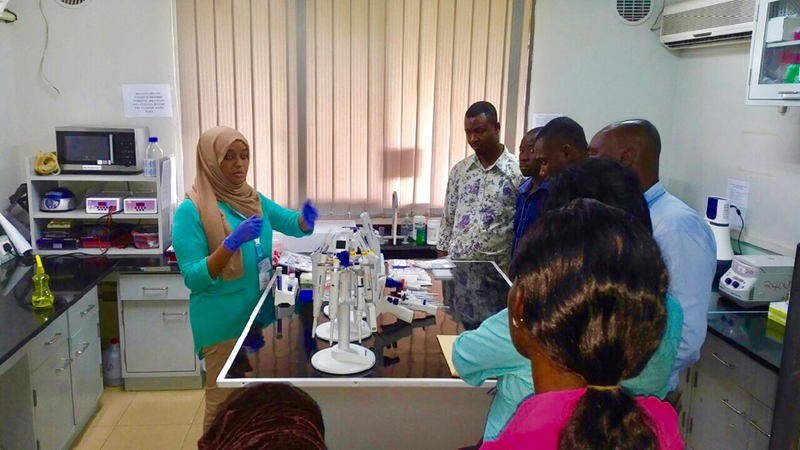 Noon Elshaikh, an application specialist from Eppendorf together with the inqaba biotec™ West Africa (Ghana) team organised a liquid handling and smart consumables clinic for scientists from various institutions in Ghana. The workshop took place at the Department of Biochemistry, Cell and Molecular Biology, University of Ghana and Noguchi Memorial Institute for Medical Research (NMIMR). The clinic was so well received that it was imperative that we extended the clinic to the CSIR-Crop Research Institute in Kumasi, to benefit other scientists outside Accra. 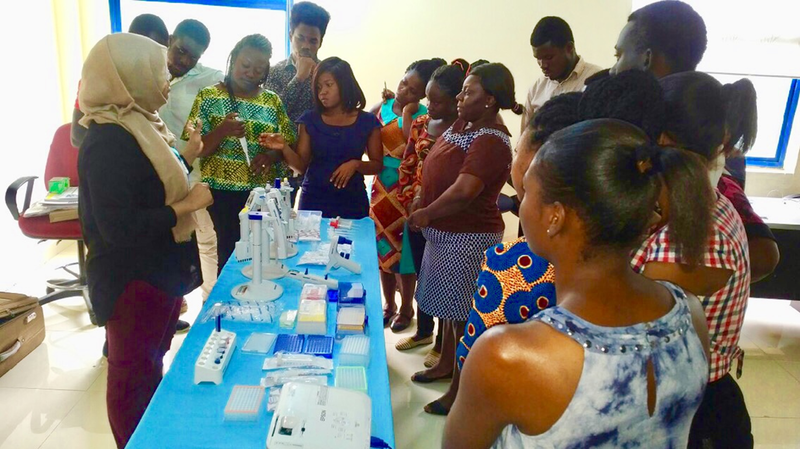 Noon Elshaikh (Eppendorf) head the training, supported by Esenam Buatsi (inqaba biotec™). We covered various topics on pipetting techniques, consumables and tips on improving the accuracy of your results. An accurate, precise and experiment type-oriented pipette will provide reproducible results and save cost in the long term. It is important to remember that accuracy of results is dependent on pipette maintenance, pipetting skills and pipette calibration. All participants were introduced to the vast product range of Eppendorf. We would like to thank Noon Elshaikh and Eppendorf for supporting the inqaba biotec™ West Africa customer training initiatives. Require a micropipette service and calibration? Remember inqaba biotec™ Service Department now offers the unique value-added service of in-house Maintenance, Service and Repair on all instruments in our extensive portfolio. For more information click here.